After a grueling up-and-down season that took one day longer than scheduled to determine seeding, the MLB playoffs are finally upon us. This year brings a lot of familiar faces to the postseason tournament, with a few new entries to break up the monotony and provide some different colors to look at during the game. For that reason, it seems only natural to give our predictions for the playoffs based on team colors! Green and yellow is one of the most underrated color combinations in sports, and we kind of appreciate that so few teams use it. It doesn’t overstay its welcome and has great balance. On the flip side, the Yankees just LOOK like they know how to wear navy blue more than anyone else. It’s a toss-up, but we’ll take Oakland to advance and face Boston. In the Red Sox, we have another team that just LOOKs like they know how to wear navy blue and red more than anyone else. That’s saying a lot, considering how overused the color combination is in baseball. We’ll keep riding the green wave and go with Oakland all the way to the ALCS! 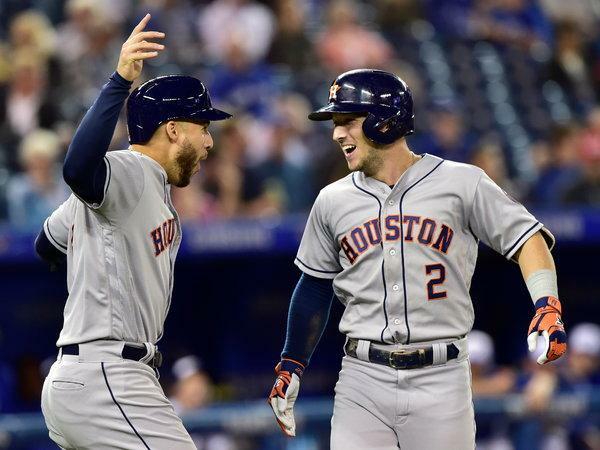 Get ready for a visual snoozer, unless Houston busts out their orange tops. Orange is a great color, and the Astros do a good job of utilizing it in their uniforms without overdoing it. Houston tops the Indians in the battle of navy blue. The Astros know their way around orange, but the Athletics have been a color combination mainstay for decades and decades. No one has come close to replicating the simplicity of their colors and uniform, despite their best efforts. It’ll be close, but you just can’t beat Oakland’s color combo. In one corner, we have tried-and-true red and royal blue, in the other corner, we have the remnants of the 1990s color fad. Kudos to Colorado for not bending to pressure and changing up their color scheme like the Marlins, Rays and Diamondbacks all did, but you can’t top tradition. Cubs pass the test in this one. We’re firm believers that the Brew Crew should’ve never moved away from royal blue and yellow back in their golden years. The colors were balanced, that glove logo was a thing of design beauty and the league just doesn’t need more navy blue. 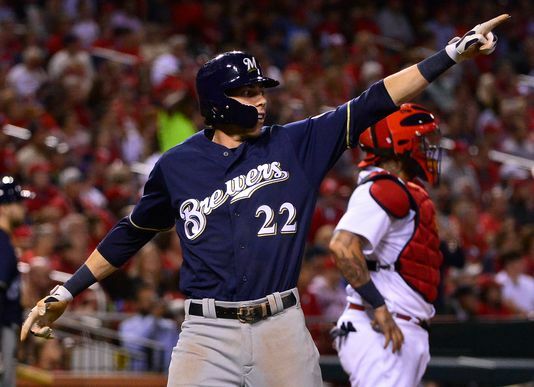 That being said, the Brewers look has grown on us. Milwaukee squirms by with a close color scheme victory. Like the Red Sox, the Braves just LOOK like they know how to wear navy blue and red. The Dodgers also know their way around royal blue. This will be a visually-pleasing matchup, and we expect it to be hard-fought on the field. The Braves’ colors win, but just barely. Navy blue and gold against navy blue and red! If you see the Brewers enough, the nice touches of gold and script letters begin to grow on you. Respect to the Braves for (mostly) not messing with their uniforms over the years, but it’s time for the navy blue and gold of the Brewers to take the win. In a tough battle of modern navy blue and gold design and traditional green and yellow elements, it’s difficult to know which one to pick. 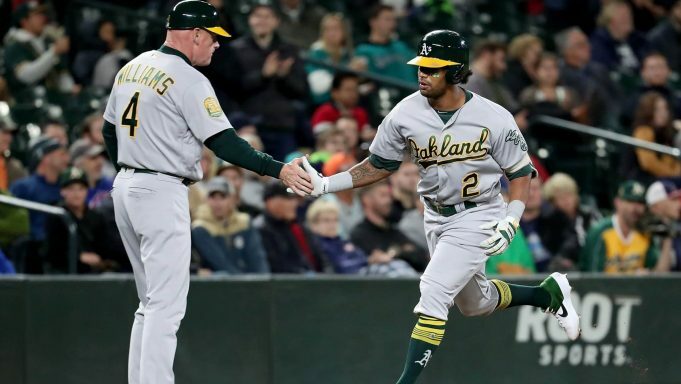 The yellow just pops on Oakland’s uniforms, and the gold of Milwaukee’s tends to get lost in the background, despite the nice design. Oakland runs away with it. 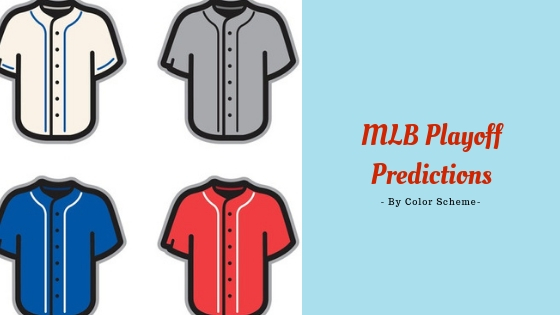 As always, we’re likely to be wrong on our picks, but seeing as how we know a thing or two about team colors and fan fashion, we think we’ll be right more often than we’re wrong. Who do you think will walk away with the World Series title? Which matchups are you hoping to see in the various series? Let us know in the comments below!